Want it by Wednesday 24th April? Order within 10 hours, 59 minutes and choose Royal Mail Tracked 24 Hour at checkout. 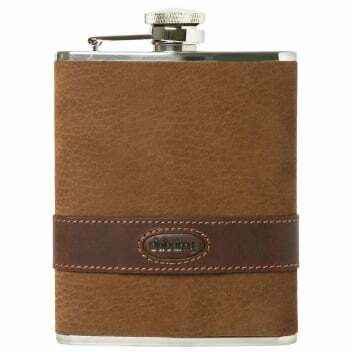 This masculine hip flask is the perfect gentleman’s accoutrement for a day at the races. Bound in rich leather, the stainless steel hip flask features a hinged screw cap for security and ease of use. It’s the perfect way to toast the day!